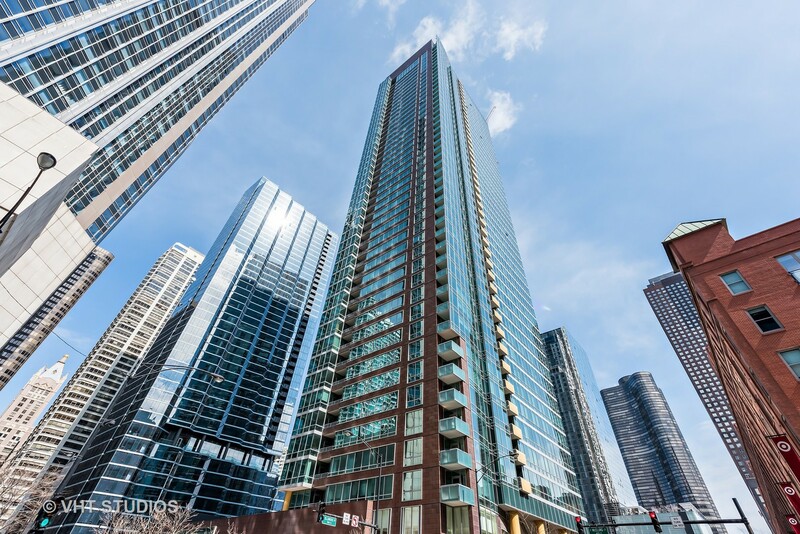 Amazing Streeterville 2 bedroom/2 bath condo on the Northeast Corner at 505 N McClurg Ct! Unit boasts lake & city views through floor to ceiling windows, new wood floors, freshly painted & updated lighting! One deeded garage space & storage unit are included. Unit also offers balcony w/ lake views. Kitchen includes 42" maple cabinets, stainless appliances & granite countertops. Washer/dryer in unit. High amenity/high service building w/ front desk staff & on-site building management. Enjoy living close to everything: shopping, Chicago River, Navy Pier, Lake Front, world class parks, restaurants & walk to work! Building offers gym, pool, club room, theater room & a private park just outside your door (currently under renovation). Walk to Whole Foods, AMC Theaters, Pinstripes, Walgreens, Target the Ogden Inlet & the lake path! Whether an in-town residence or full time home, this unit offers convenient, high-end city living at its best! Also offered furnished. This is a non smoking bldg. Directions LSD to GRAND EXIT. WEST TO MCCLURG AND SOUTH TO BLDG. Property information last modified by seller on Wednesday, May 02, 2018, 12:49 AM CDT. Information Deemed Reliable But Not Guaranteed. Unauthorized duplication, use, or linkage is prohibited. The information on this web site is for personal, non-commercial use and may not be used for any purpose other than to identify prospective properties consumers may be interested in purchasing. Monthly Payment Calculator results are for illustrative purposes only, not a financing opportunity; calculations assume a 30-year fixed-rate mortgage and do not include closing and other costs. Property Tax on NEW properties is estimated at 1.5% of Listing Price for payment calculation purposes; actual value may be higher or lower.